If you don't own an Android phone then you haven't experienced the power of the world's most popular mobile operating system. In every 10 Smartphones, the probability of having more Android phone is like 6 smartphones. After Google bought the mobile operating system, they upgraded it to an awesome and amazing operating system. Several smartphone manufacturers such as Samsung, Infinix, LG, HTC, Tecno, and more all run on Android OS. OS Update Notification: One of the major annoying thing about phone manufacturers use the Android OS is that they don't offer their customers' future update. Now, the reverse is the case. Top mobile phone companies like Samsung, Infinix, HTC, LG, and more offer the ability to update your smartphone OS as soon as Google rolls out a new Android OS. Android Version: Ever since Google bought Android in 2005, they have gone to release better versions of the previous operating system. The latest Android OS update is the Android 6.0 Marshmallow. Previous updates are Android 5.0-5.1.1 Lollipop, Android 4.4 KitKat, Android 4.2 Jelly Bean, and more. You can get the latest Android phones running on the latest Android OS at the lowest prices online. Google Drive: Everyone using an Android phone have automatic access to google drive which is an online storage unit, created by Google for its users. This cloud storage unit gives you access to more memory space to save important files and folders. You can access your cloud storage account from anywhere around the world with ease. You can also use it as a backup to your important data. Unlimited Apps Download: Another amazing thing about Android phones is access to the Google Play store. This is a world of paid and free applications that can be downloaded. There are games, utility apps, educational apps, entertainment apps, business apps, finance apps, sports apps, instant messaging apps, social networking apps, and more. Get notifications on the latest apps available on the play store and download for free. Since the competition for Android phones is very high, it is important to buy from a trusted site that can guarantee you quality and affordability all in one package. Shop our top brands android phone models from the best manufacturers such as Samsung Android phones, LG , HTC , Huawei, Itel, Tecno, Infinix Android phones, and more. You can make use of our fast filter search to check according to price, color, model, and location. 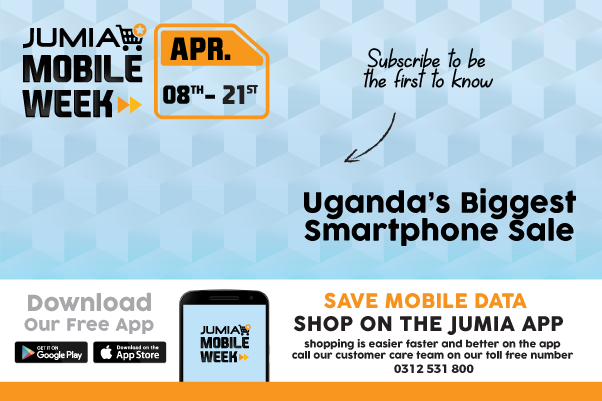 Get the best deals on Jumia. Order yours now and pay cash at your doorstep!